Currently browsing articles with a topic of "chain pickerel". Spring is nature’s way of saying, “Let’s Party!” That’s how the late Robin Williams described it. March may have roared in like a lion, but she’s now lying like a lamb with weeks of warmer weather in the forecast. While the calendar might still say winter, spring, glorious spring has made her eloquent arrival to the snow-weary Mid-Atlantic. The peepers are peeping, the red buds are budding, and yesterday, through the morning fog, I caught a glimpse of an osprey soaring high above Kent Island. 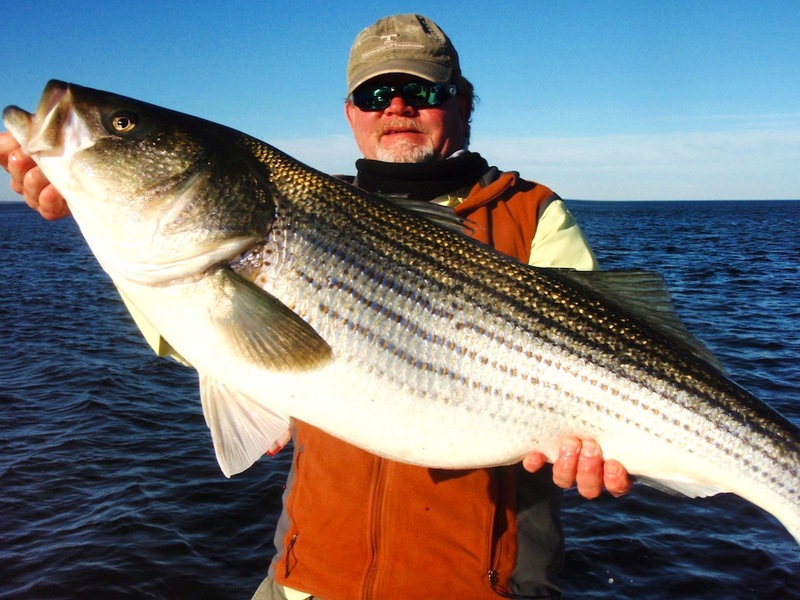 There are a lot of reasons why fishermen look forward to the arrival of spring. A big one is the beginning of Daylight Saving Time on March 13 when clocks spring forward to give us one more treasured after-work fishing hour. Another reason is that there are lots of fish around that are relatively easy to catch. Fishing and spring go together like, well like fish and fries. Have you noticed how all the fast food restaurants put their fish sandwiches on sale this time of year? I believe humans are hard-wired to crave fish in the spring. It’s been right there in our DNA since the first hunter-gatherers wandered away from their warm winter hearths to find springtime streams teeming with spawning fish. For many fishermen, the urge is so strong it’s nearly impossible to stay away from the water in March and April. This is the time of year when fish are easiest to catch, and the time when we most want to eat them. I’m not one to turn down the bounty of fresh fish. While I release many of the fish I catch, I can’t resist bringing home an occasional stringer for the table. I’m a big fan of eating locally produced fruits, meats, and vegetables. We get our honey from local hives, our beef from a nearby herd, and many of our vegetables from our garden. Since we live on an island in the Chesapeake Bay, it just comes naturally to eat fish from the waters around us. Unfortunately, those waters are very polluted, so there are strict consumption advisories about fish caught in this area. In fact, officials in Washington DC recently advised no consumption of rockfish caught in the District. I will no longer serve my family striped bass over 30 inches long from anywhere in the Bay because of the build up of toxins. It’s a personal decision, but one that I’m serious about. My children and grandchildren aren’t old enough to make choices for themselves about what is healthy. They’re too young for me to take a chance on poisoning them. Read More! 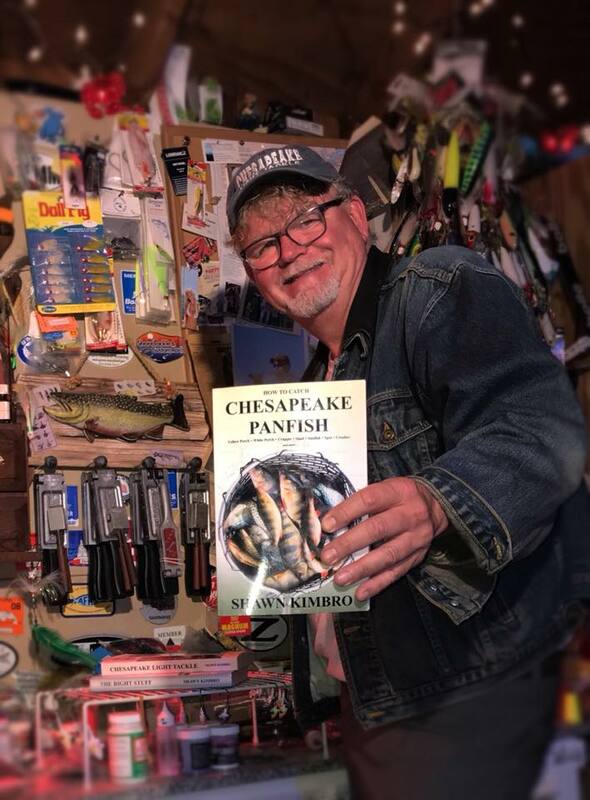 This is the time of year I like to walk along Tuckahoe Creek near Queen Anne, Maryland casting for perch and chain pickerel. For the past couple of years I’ve only caught white perch on the Tuckahoe. 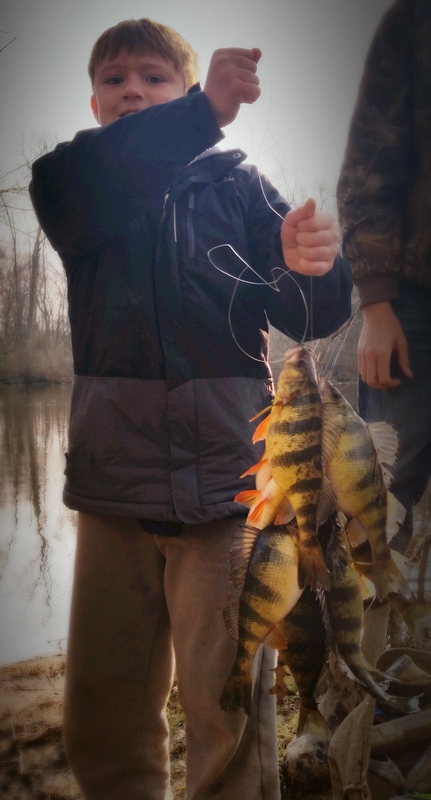 I’ve missed the earlier yellow perch spawn because it frequently coincides with the first wave of pre-spawn rockfish. I thought I might miss it again this year, but today’s rainy windy weather kept me off the Bay. My four-year-old Chesapeake Bay Retriever Crockett and I left Kent Island about noon and took the long way around before parking the truck and hiking in to my favorite perch holes. The rain poured and the fish bit. It wasn’t hot and heavy like I’ve been hearing about in the Western Shore creeks, but I finished up with six keepers out of a couple dozen perch, and released a nice pickerel. My lure was a chartreuse one-thirty-second ounce feather fly tied by my Severn River Rod & Keg Club brother Woody of Maryland Tackle. I jigged it under a tiny green top float. A feather fly coupled with a buoyant, lively float is a combination my dad taught me. 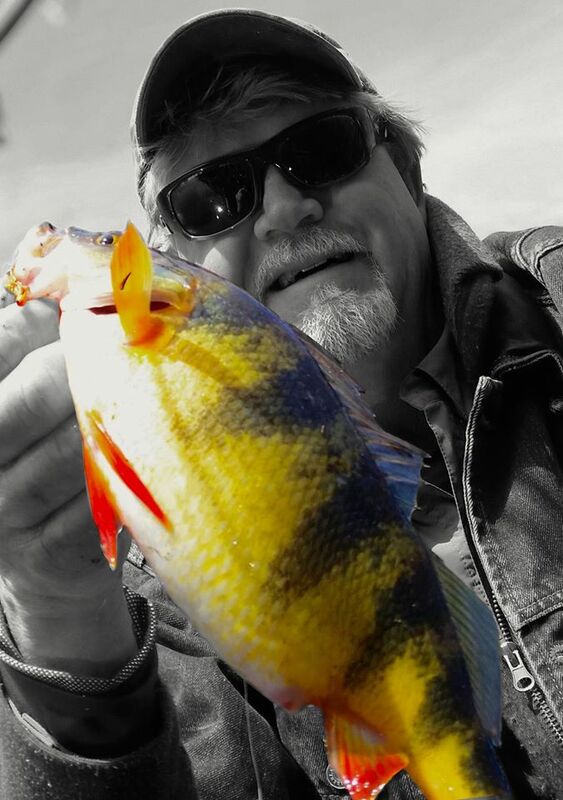 My brother Creig has been wearing out the crappie in the TVA lakes using it. It’s a very specific technique because any old float won’t work. I think I’ll keep the brand name to myself for now, but you might be able to figure it out from the video. It was great to get out and stream fish for a while. I’ll visit the Tuckahoe again once the white perch run begins. 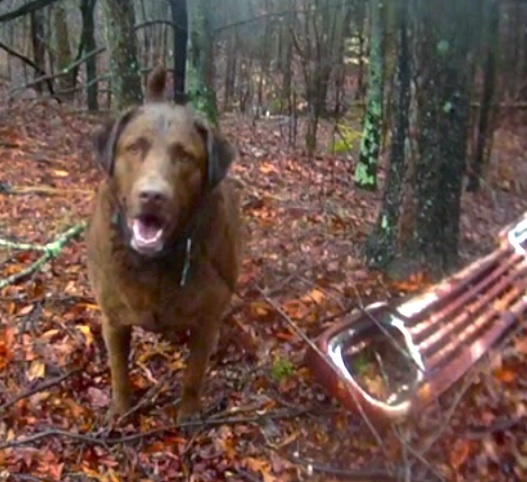 As you can tell, Crockett is in his element in the rainy woods. Read More!